Women have made major strides towards equality with men, but new research shows there’s one way in which they are catching up that could be harmful: drinking. Women are now nearly on par with men in alcohol consumption, and the ill effects drinking has on health, a worldwide review finds. Historically, men have been far more likely than women to drink alcohol, and to drink so much it affects their health. Older studies suggested as much as a 12-fold difference between the sexes, the researchers said. Recent data suggests that the gap has closed. Women across the globe are now nearly as likely as men to drink and to engage in excessive, harmful drinking, said lead researcher Tim Slade. He’s an epidemiologist with the National Drug and Alcohol Research Center at the University of New South Wales in Australia. “We can no longer think of alcohol use and alcohol-related harms as problems that just affect men,” Slade said. What are the drunkest cities in the U.S.? To track trends in drinking between the genders, Slade and his colleagues pooled data from more than 4 million people who were part of 68 international studies. These studies were published between 1980 and 2014. The studies included data collected between 1948 and 2014, representing people born as far back as 1891. The researchers focused on three categories: any alcohol use, excessive use, and health and social problems related to drinking. Men born between 1891 and 1910 were twice as likely as their female counterparts to drink alcohol. 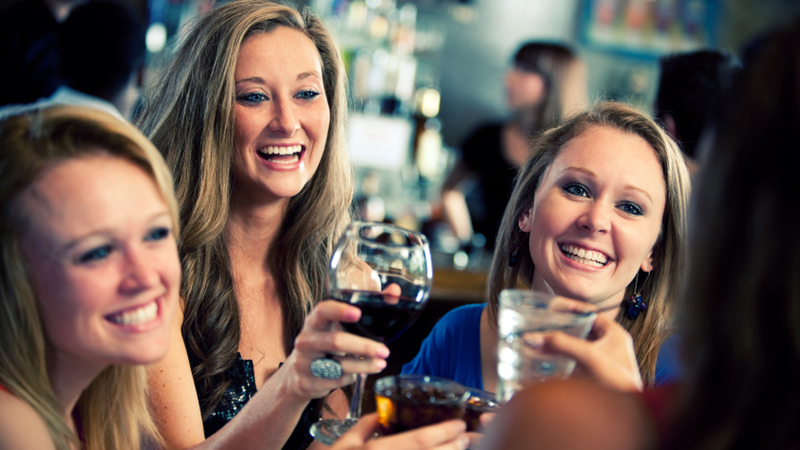 People born between 1991 and 2000 were about equally likely to drink, the researchers found. At the same times, the gender gap for excessive drinking fell from 3 times higher for men to 1.2 times. The gender gap for harms associated with drinking fell from 3.6 times higher for men to 1.3 times, the researchers reported. After accounting for potential bias, the researchers concluded that the gender gap for drinking fell by 3.2 percent with each successive five-year generation, but was steepest among those born from 1966 onward. There’s no single reason why more women are drinking, Slade said. It’s likely that drinking has become more socially acceptable for women as they’ve joined the workforce, entered higher education in greater numbers, and have become more financially independent, he said. Dr. Victor Karpyak, an alcohol researcher at the Mayo Clinic in Rochester, Minn., agreed that social evolution likely has played a role in this trend. “This is something which is mostly influencing access to alcohol and decisions that women in different societies make about whether they can drink, whether they can drink in public, whether they can drink in the company of males, and whether it’s acceptable for women to exhibit signs of intoxication,” Karpyak said. Paul Rinaldi, director of the Addiction Institute at Mount Sinai West in New York City, said women might also be tempted to drink to deal with the pressure placed on them to be a “superwoman” and manage both a career and family life. However, Rinaldi added that older statistics might underrepresent female drinking, since many women engaged in “hidden drinking” before it became socially acceptable. With the rise in female drinking, public health officials need to step up alcohol interventions for young adult women, especially since there’s such a wide variety of health problems associated with drinking, said Dr. Geetanjali Chander. Chander is an associate professor of medicine at Johns Hopkins Medicine in Baltimore. Women in their 20s and 30s — “peak childbearing age” — are more likely to have a child affected by fetal alcohol disorder, and are more likely to develop liver disease and cancers associated with alcohol use, Chander said. “Women experience the biological consequences of alcohol use at lower levels of use than men,” Chander said, noting that guidelines limit women to no more than 7 standard drinks per week compared with 14 drinks a week for men. The new study appears online Oct. 25 in the journal BMJ Open.